There were some female greater kudu (Tragelaphus strepsiceros) in previous sets, including one facing down a leopard. Here is a nice male. 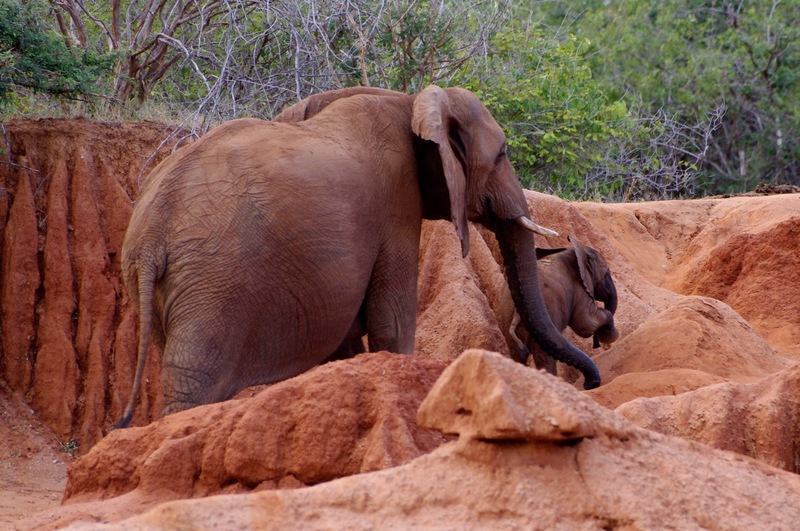 We often saw bush elephants (Loxodonta africana) proceeding in line with a large female leading and the smallest member tucked somewhere in the middle. 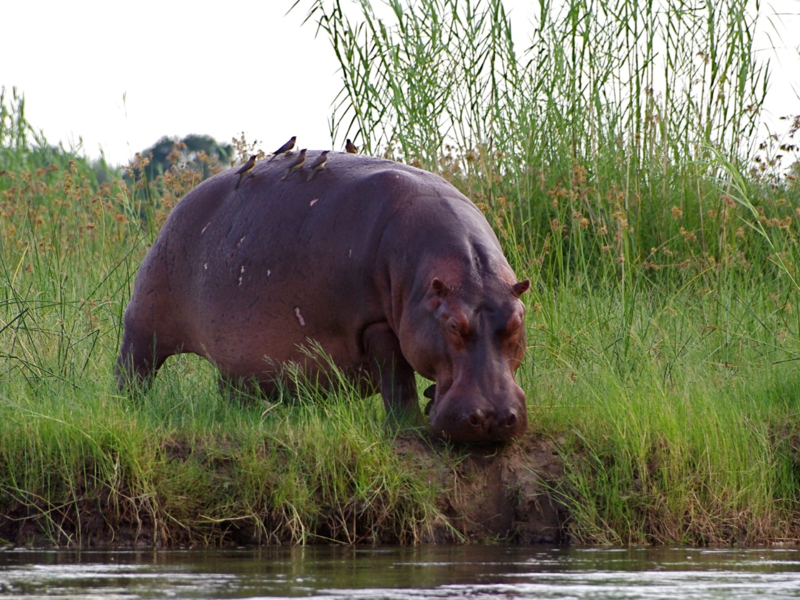 We did not see very many hippos (Hippopotamus amphibius) completely out of the water. This one has several oxpeckers on it, probably yellow-billed (Buphagus africanus) based on the pale underside. 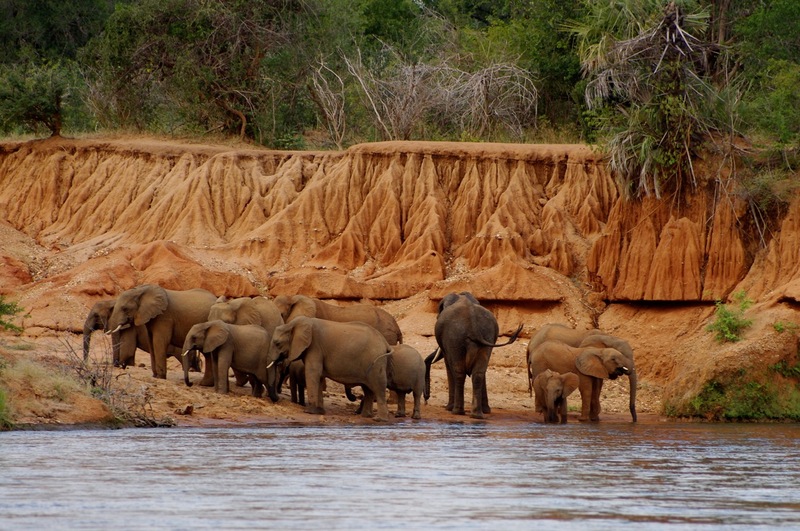 We spent some time watching a group of elephants that used a bit of badlands-like riverbank to come down for a drink. 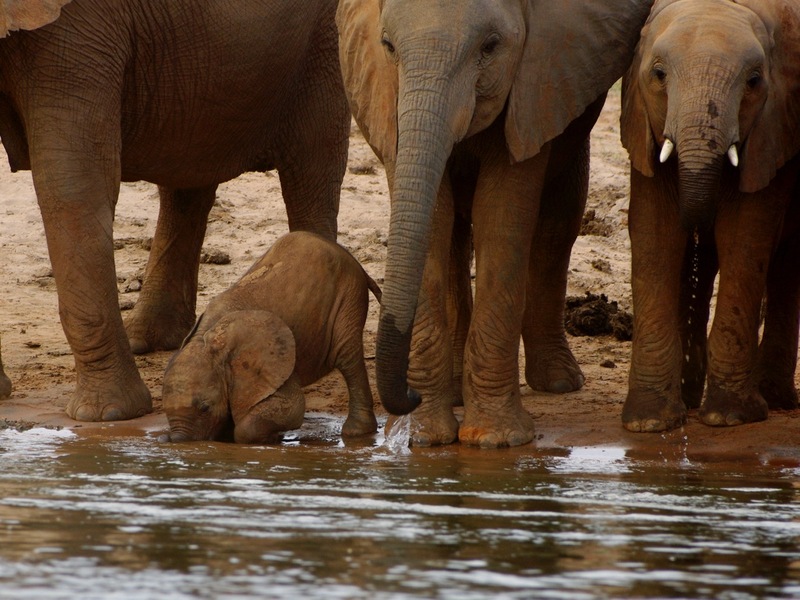 One baby is too young to have learned to drink using its trunk, so it has to get its face down in the water. 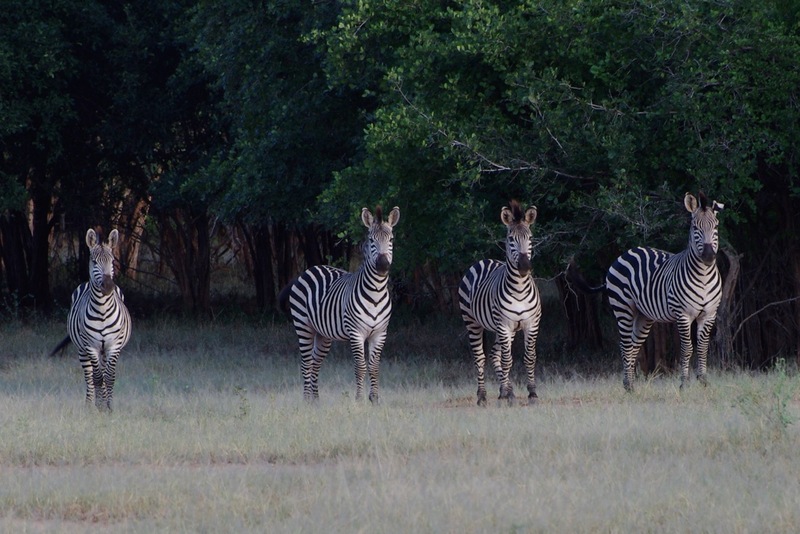 Here are a couple of nice groups of plains zebra (Equus quagga). 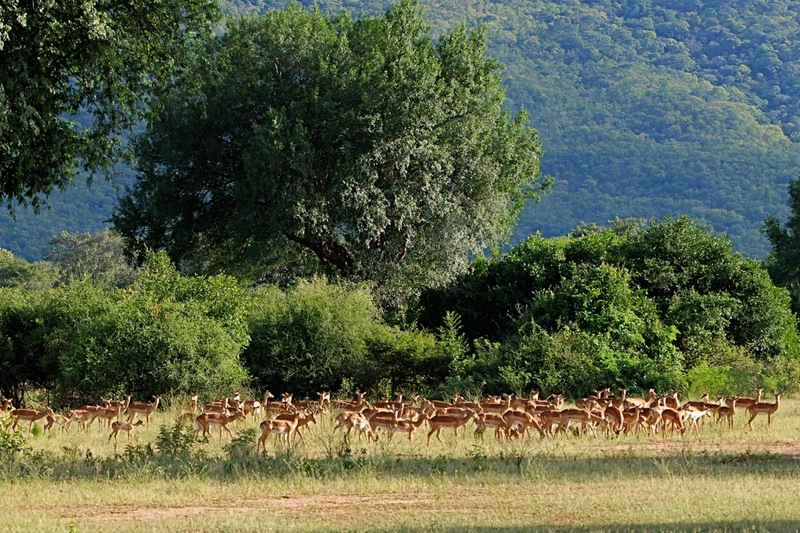 The second shot also has some impala (Aepyceros melampus) in the background. 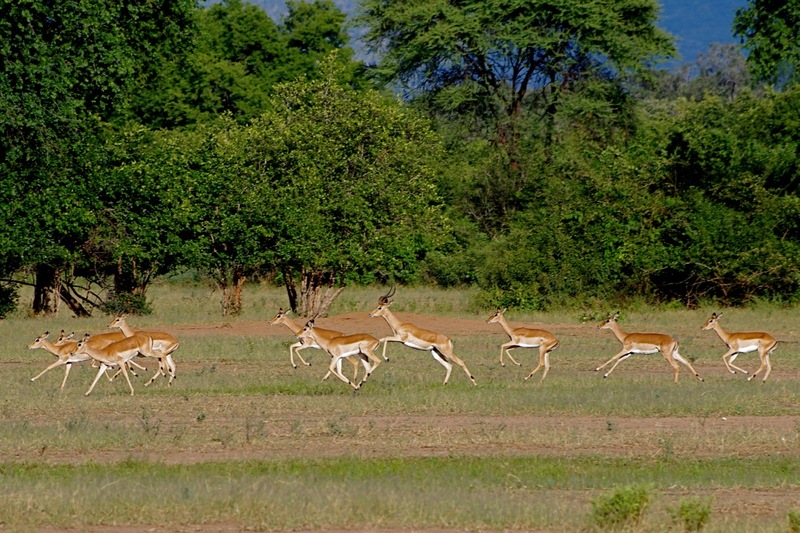 And, finally, some more impala, first a fairly large herd and then a group running, with a dominant male in the center. Can you see also two juvenile males still tolerated within the harem? This entry was written by whyevolutionistrue and posted on November 19, 2018 at 7:30 am and filed under mammals, photography. Bookmark the permalink. Follow any comments here with the RSS feed for this post. Both comments and trackbacks are currently closed. Wonderful pictures! The whole series was great, of course. How I wish I could go. Great shots. These take me back to my trip in 2010. 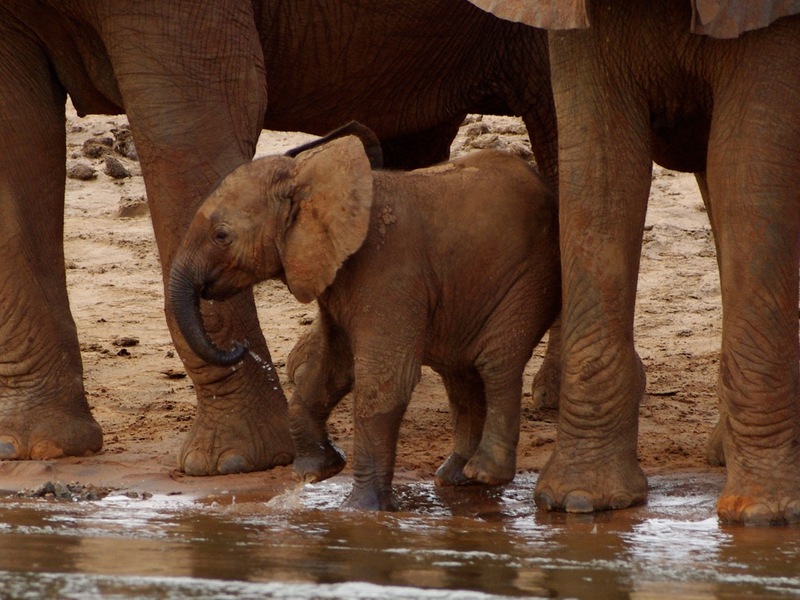 The young elephant has got to be fun to watch. Compared to the biggies, he looks so vulnerable. The attentiveness of the adults is always heartwarming. Love the heffalumps in the badlands. Fantastic photos. Would love to go one day! Great pictures Joe. 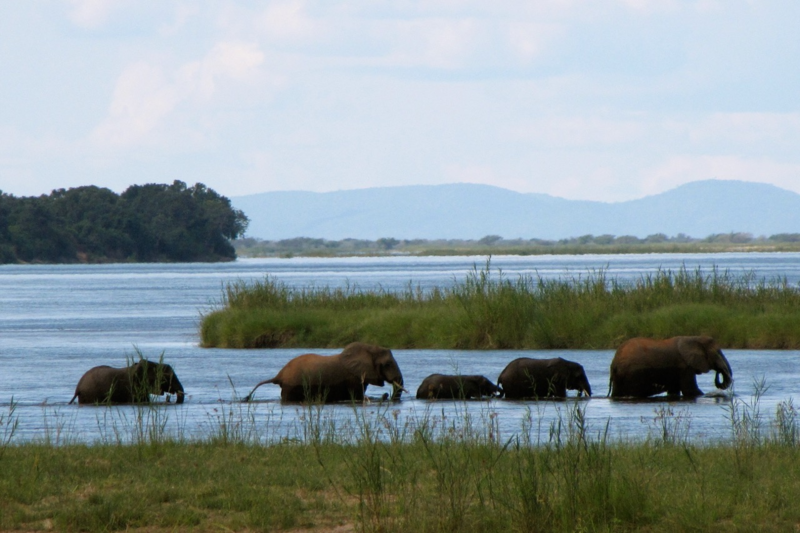 Was the one of the line of elephants walking in the water in Ngorongoro? I never saw any hippos out of the water. Can’t even see them out of the water at our local zoo. 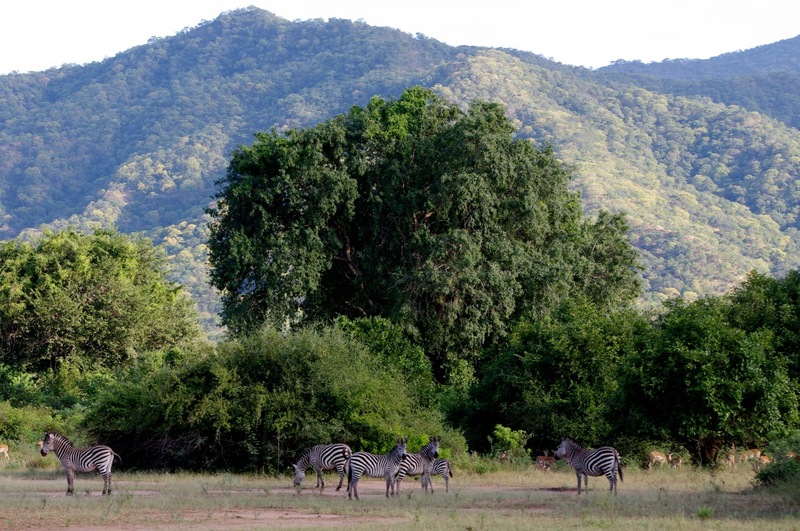 No, this trip was to south-central Africa, along the Zambezi River. Fantastic Photos! The elephants in the “badlands” were incredible. That hippo looks like it’s been in a few fights. Gorgeous animals! 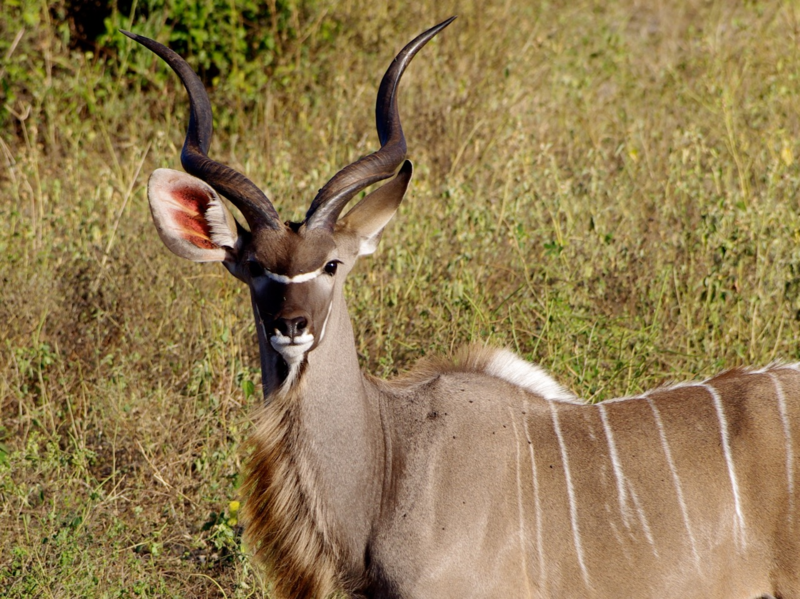 The kudu looks to me like a “horned g*d”.